If helping dogs, cats, and other animals at your local animal shelter interests you, you’ll have plenty to consider. You need to choose which animal shelter you want to give your time to, what kind of jobs you’re capable of doing, and whether you can meet the shelter’s requirements. Don’t worry, though, as there are plenty of opportunities to help out at shelters. There’s bound to be a volunteer position that fits your capabilities. Volunteering provides a rewarding experience, and shelters usually love to get some extra help. Here’s what you should know about volunteering at an animal shelter. There are many different animal shelters, and you should research them before picking one you want to volunteer for. Most animal shelters care for dogs and cats, but some also take in rabbits, rats, snakes, birds, and other critters. If you have phobias or allergies to animals that might show up at the shelter, that should affect your decision. Sometimes shelters will work around your needs. For example, if you fear large dogs, a shelter may have positions in the cat area that suit you better. Another thing to consider is whether the animal shelter is a no-kill shelter. Some shelters euthanize animals who can’t find homes to make space for pets that have better chances of being adopted. This can break your heart if you’ve made friends with an animal that spent a long time at the shelter. Ask questions before you volunteer, as you may want to consider another location that makes you more comfortable. What Jobs Need To Be Done? So many things need to be done at animal shelters. Obviously, caring for the animals is very important. 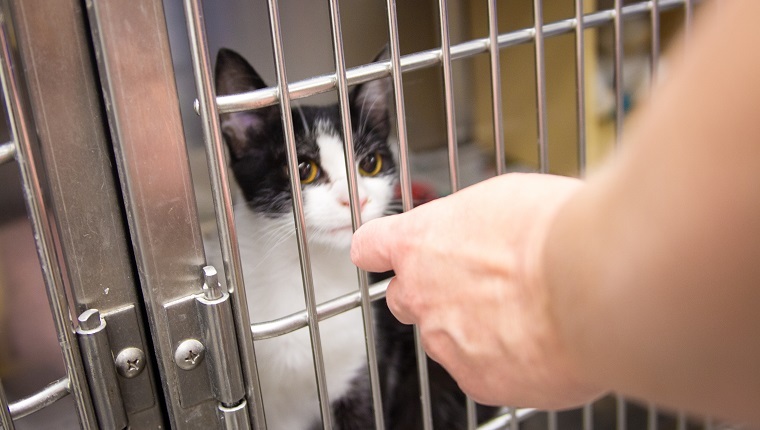 Shelters need volunteers to clean cages, fill water or food bowls, provide company to the animals, walk the dogs, play with the cats, do training and socialization, and more. Not all jobs require directly interacting with the animals, though. Shelters rely on volunteers to help work fundraising events, make calls, post fliers, and make social media posts. Graphic designers, photographers, newsletter writers, event planners, and many other skilled positions provide a big help to shelters that need to raise money and ask for donations. There are also day-to-day operations that can be handled by volunteers and really help animal shelters in need. Shelters need accountants and bookkeepers to keep records in order. Legal advisers need to handle contracts and legal matters. Computer programmers can help design apps and programs to pair adopters with their perfect pets. 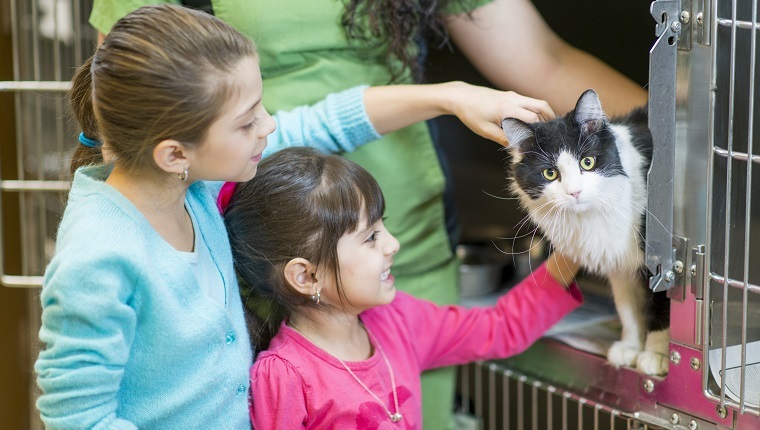 Some shelters have educational programs to teach children about animals and help them get involved in animal care, so educators are needed, too. If you’ve just graduated from college and need real-world experience that looks great on a resume, put your education and skills to use by volunteering at a shelter. If they don’t have a specific opportunity for you, suggest one. Explain what you can do. If you have photography or design skills, explain how you can make pictures on social media appealing and encourage adoption. Be creative. You may not bring home a paycheck for your effort, but you will be helping animals in need and gaining valuable experience. It also doesn’t hurt to network with other volunteers or adopters. Every shelter has different requirements for volunteering, so call ahead before you just show up expecting to get right to work. 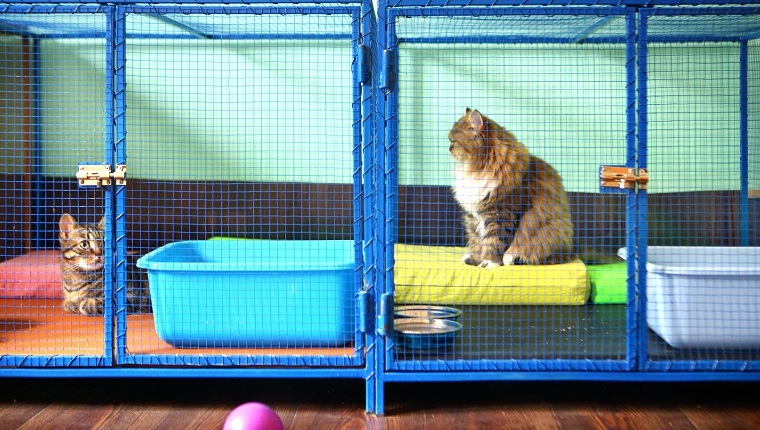 Many shelters require a time commitment. Animal Humane Society, for example, requires a minimum of one two-to-four-hour visit every other week for a full year. Volunteering is usually kept on a schedule, and you’re expected to show up on time and have good communication skills with people, not just animals. There are often physical requirements if you’re going to work in the shelter, especially if you plan to interact with animals. You’ll need to be capable of spending time with animals, meaning allergies, inability to tolerate loud noises, or fear of bites and scratches will probably make things difficult. You’ll be required to lift a certain amount of weight, and you may need to operate machinery, like power washers. While the shelter may be indoors, you might need to work outdoors, too, so you should be able to handle the elements. Many shelters will ask you to fill out an application, and some require you to be at least 16 years of age to work there–though if you are younger, there are still things you may be able to do. Some shelters will need you to fill out a waiver so you don’t hold them liable in the event of an accident. If you aren’t comfortable with that, you may want to consider what you can do outside of the shelter. Animal shelters will often need volunteers to complete some kind of training or take classes before interacting with the animals. You should ask your shelter about the training program. Most are fairly simple, and some are operated individually for each new volunteer while others are held in group sessions on a specific schedule. What Can You Do If You Don’t Meet The Requirements? If you don’t or can’t meet any of the requirements, don’t be discouraged. There are several ways to help your shelter that you may still be able to do. Fostering a pet in need, for example, is one way to help alleviate some stress on an animal shelter and free up some resources. This can be a good idea for those under 16 years of age because, while the primary foster parent usually needs to be over 18, the whole family can get involved in training and caring for an animal and make a positive difference. If you’re under 16, encourage your parents to look into fostering. You can always host a fundraiser or supply drive. Talk to your school, workplace, church, team, youth group, club, or any other organization about getting involved. Car washes, bake sales, raffles, auctions, and more can raise money for shelters. You can also ask your local shelter if they have a wish list of items that they need so you can ask for donations of supplies from your community. Keep in mind that many of the positions that can help shelters don’t have the same requirements, so you can still volunteer to post on social media, work with the community, help at events, and offer your skills. Your shelter will probably appreciate any help they can get, even if it’s not directly working with the animals, so just ask what they need. Have you ever volunteered at an animal shelter? Who would you recommend it to? Let us know in the comments below!